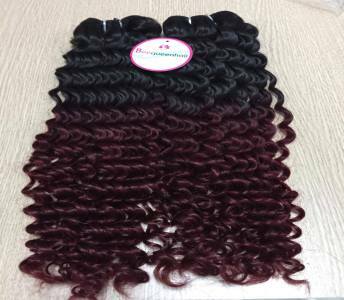 With the help of our expert professionals, we have been able to offer Curly Machine Weft Ombre Hair. We offer these products in compliance with requirements of our clients. Procured from the reliable vendors of the market, these products processed using excellent quality hairs and advanced technology. I want to buy “VIETNAMESE REMY HAIR OMBRE CURLY WEFT”!! !